Saturday / Wednesday standard transfers from Dublin or Shannon Airport is €76 per person. Standard transfers from Dublin or Shannon airport on any other day is €96 per person. Private transfers can also be arranged, please advise and we will provide a quotation. Customers taking the shared transfer may experience some delay at the airport while waiting for other flights to arrive. It is advisable that all clients on a transfer return the afternoon before to ensure they have received their collection time and all checking out procedures are completed. 1. Bookings are accepted subject to the craft being available, as there is always the possibility of a previous hirer causing accidental damage, which would hold up the craft for repair. In this event every effort will be made to supply a similar craft, if this is not possible the deposit shall be returned to them in full, but the hirer shall have no claim whatsoever against the owner.2. 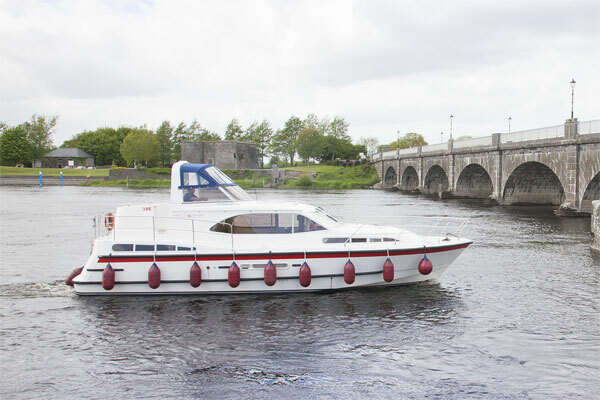 2 The craft must not be taken below Killaloe bridge. Cruising after dark is prohibited. 3. We shall not be responsible for any delay caused by floods, repairs or damage to navigational works. 4. All hire periods commence after 16.30 and terminate at 10.00a.mon the final day of the booking period. We will endeavor to arrange flexible arrival & departures times for short break cruises. 6. The craft must be returned not later than 10a.m. in a clean condition throughout with full-fuel and water tanks on the day on which the hirer period terminates. 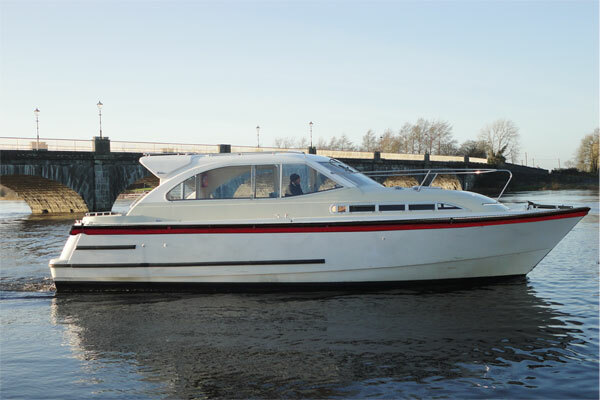 If the hirer fails to return the craft in due time, as stated above, he shall pay the owners € 200 for every day or part of a day which the craft is delayed away from base, plus any consequential damage or loss for breach of contract. 7. No experience is necessary but we reserve the right to refuse to hand over to any hirer who in our opinion is not considered suitable to take charge. 8. Persons under the age of 21 years are not permitted to hire our craft unless we have written consent of their parent or guardian, who must take full responsibility and accept the Conditions of Hire. 9. On take over, a trial run will be given to familiarize hirer with craft. After this trial run the hirer shall take full responsibility for the craft and her equipment. 10. If any repairs or adjustments become necessary the owners must be notified immediately. Repairs cannot be carried out by any other firm without the owner’s permission. 11. We at all times try to give a specific description of craft, but we shall not be responsible for any inaccuracies that may occur. 12. It is in your interest, as well as ours, that rubber soled shoes should be worn on board. 13. A free car park is provided to our customers, but the owners accept no responsibility for any loss or damage that may occur. 14. The company will not be responsible for time loss due to breakdowns, damage or other defects and no financial adjustments can be made in these circumstances. 15. Only crew members named on the booking form are admitted to hire our craft and the company takes no responsibility for other persons boarding our craft. 16. No pets are permitted on board our cruisers. 17. A returnable deposit of €700 to €1,000 must be paid by the hirer upon arrival (depending on the class of cruiser). If no loss or damage has occurred to the cruiser, its contents, dinghy or third party, the deposit will be returned in full. Please note that security deposit may also be withheld if grounding occurs. Alternatively a non- refundable insurance waiver for weekly rentals only is available ranging from €150 - €250 which will reduce your refundable deposit to €150. 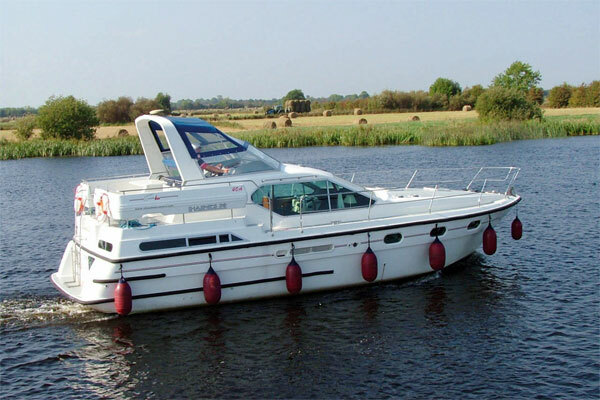 INSURANCE CONDITION: This covers damage to the boat only, replacement items are not covered under this insurance waiver and will be charged for if lost or damaged. 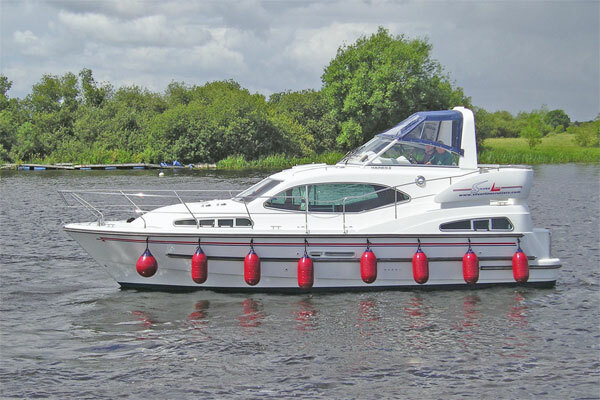 Once the cruiser is returned on time, clean, refuelled and no damage occurs to the boat, a third party or dinghy, this €150 is fully refunded. This option is not available on the Silver Shadow cruiser. The hirer is responsible for any loss or damage arising out of the deliberate acts on their part or negligent conduct. In the event of any accident or incident, the hirer must notify the company immediately with names and details of any witnesses and details of owners or other hirers if another craft is involved. 19. All extras must be paid upon arrival to the marina. Fuel used will be paid on completion of the hire period. .
Bicycles are hired at clients risk and Silver Line accepts no responsibility for loss or injury sustained by the hirer. 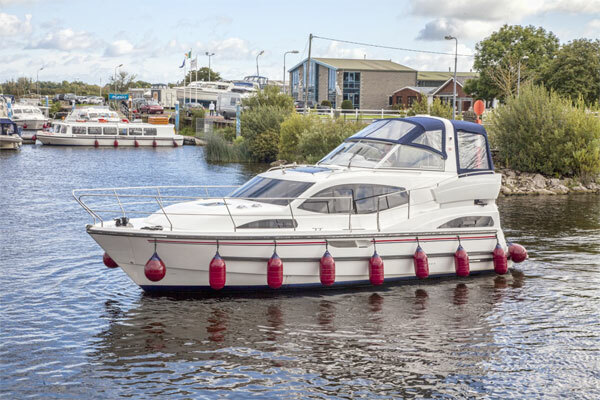 Before departing our marina, make sure that your outboard motor is in good running order, as we do not facilitate a repair service for outboard motor outside our marina, and we do not offer refunds or cash adjustments for this at the end of the hire period. A separate refundable deposit of €150 is paid upon arrival for the hiring of the outboard motor. If the outboard motor is lost or stolen the hirer is responsible for the full replacement cost. 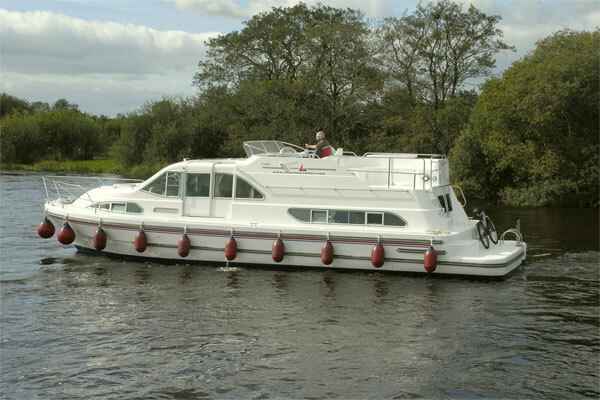 Silver Line Cruisers, one of Ireland longest established family run cruising companies, is situated right in the heart of Ireland between the two great lakes, Lough Ree and Lough Derg, and only one mile from the Grand Canal. 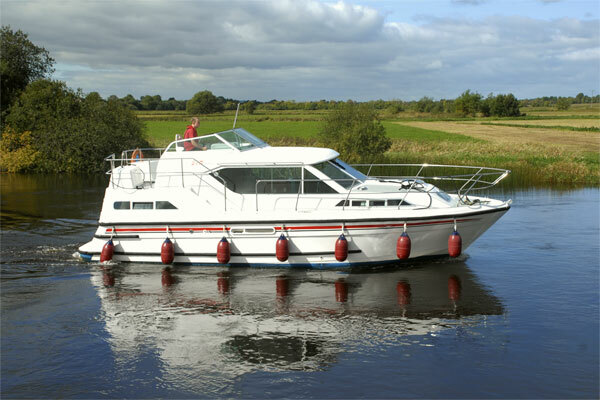 Our base at Banagher, Co. Offaly is the ideal starting point for any Shannon cruise. Silver Lines new office complex and terminal building has toilet and shower facilities, large arrival and departure lounge area with free self service tea and coffee available. 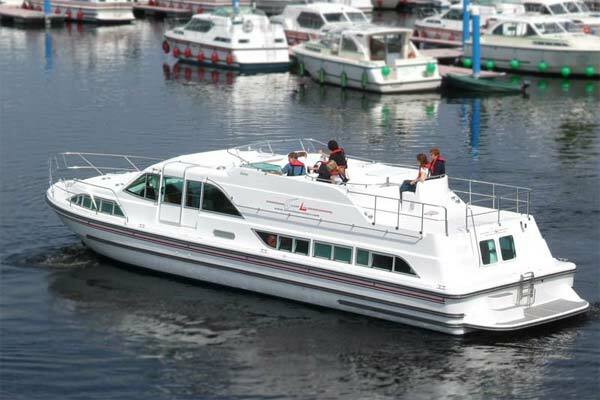 Silver Line's diesel-powered craft are equipped to the highest possible standard to meet the requirements of Bord Failte, the Irish Tourist Board. With our modern fleet of luxury river cruisers we offer you the opportunity of a holiday experience that will stir the soul and capture the imagination of the most adventurous spirit. This includes the provision of central heating, hot and cold water supply, shower, gas cooker, electricity, flush toilet, refrigerator, all bedding, kitchenware etc., and stereo radio cassette on large models. In addition and at no extra cost we also provide you with a 13ft. fishing dinghy, useful for exploring and picnicking on islands in shallow water. Also included of course are buoyancy aids, binoculars, fire extinguishes, navigation maps etc. 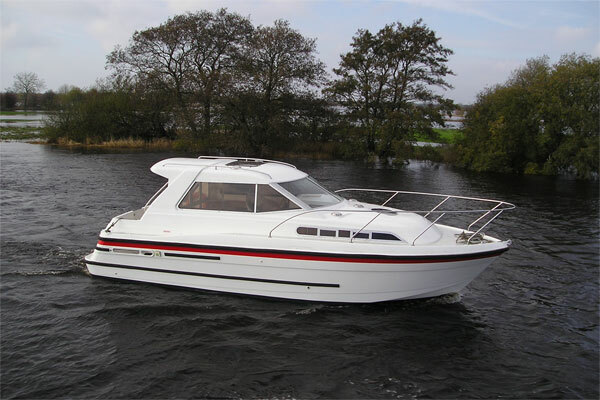 We also provide on board tuition and navigation instructions, outboard motors, bikes and extra fishing dinghies are also available at an additional cost. All Silver line Cruisers are attractively designed combining ease of handling, economical running and a host of safety features. There are no hidden extras. In the unlikely event of breakdown Silver Line's experienced technicians are always available to offer assistance, our mobile service vehicles are in constant cellular contact to ensure that you are on your way in the shortest possible time.